Cape Cod Shower Kits Co.
Our Cape Cod Shower Kits have become an iconic symbol of summer on the Cape, so no matter where you reside, you can have a little piece of the Cape at home with you. 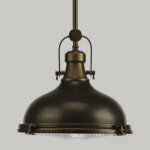 We take pride in our outdoor shower designs and think that every one should be top quality, which is why we build each and every one by hand on Cape Cod. Built to last, our outdoor shower kits are made of durable tongue and groove high quality cedar, which can either be stained, painted, or left to weather naturally to a classic gray. 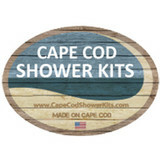 We want our shower kits to be a great addition to your home and we are happy to customize your Cape Cod Shower Kit to your individual needs and tastes for most designs, just ask us! When the temperature heats up in Dorchester Center, there’s nothing like having a deck or patio to kick back on and enjoy the warm weather. A functional deck design and patio layout is dependent on meeting your specific needs, so it's a space that needs to be created carefully. Luckily, there are professionals to handle your deck installation or patio design — hiring a Dorchester Center, MA deck and patio builder is your surefire ticket to creating an outdoor oasis! What services do deck and patio builders in Dorchester Center, MA provide? 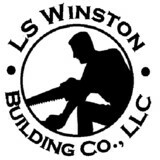 To help you choose the ideal style, configuration and materials for your deck or patio, your deck and patio contractor will survey your Dorchester Center, MA lot and your home to come up with a design that complements your exterior as well as being structurally sound. He or she will recommend sizes, heights and construction materials that suit your lifestyle and climate, as well as explain the best stain or finish options. Additionally, deck and patio professionals can provide insight into additional components such as outdoor kitchens, patio covers, fire pits, outdoor lighting, arbors and more. 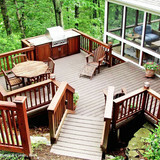 Your deck and patio professional might work closely with another Dorchester Center, MA lawn and landscape professional. Here are some related professionals and vendors to complement the work of conservatories & orangeries: . 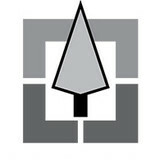 Find a deck and patio builder in Dorchester Center, MA on Houzz.